Am I Hungry? 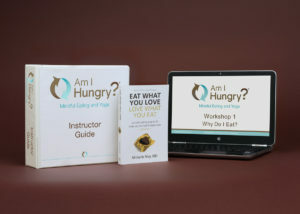 Mindful Eating and Yoga Instructor Training - Am I Hungry?Am I Hungry? This online self-paced training is for yoga instructors who want to offer mindful eating workshops combined with yoga classes to embody the lessons. 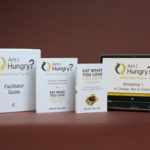 Dr. Michelle May is a recovered yo-yo dieter, retired family physician, and the founder of the Am I Hungry? ® Mindful Eating Programs and Training that helps individuals resolve mindless and emotional eating and senseless yo-yo dieting. Michelle is the award-winning author of the Eat What You Love, Love What You Eat: A Mindful Eating Program to Break Your Eat-Repent-Repeat Cycle, Eat What You Love, Love What You Eat for Binge Eating, Eat What You Love, Love What You Eat with Diabetes, and Eat What You Love, Love What You Eat for Students, that guide readers to eat fearlessly and mindfully. Her passion, insight, and humor stem from her personal struggle and professional experience. 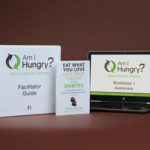 She shares her compelling message and constructive approach with audiences around the country and has trained over 700 health professionals to facilitate Am I Hungry? Programs worldwide. Jessie Dwiggins’ passion for yoga and mindful eating is evident in her teaching. It was her personal transformation that led Jessie to discover her enthusiasm for teaching yoga and mindful eating. Jessie started practicing yoga purely for exercise and soon discovered it was so much more. Yoga helped to calm her anxiety, allowed her to reconnect with herself, and taught her to appreciate what her body is capable of. Jessie has been teaching Forrest Yoga and Power Yoga since 2007. 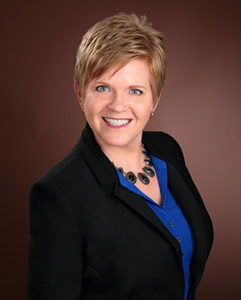 Jessie also holds undergraduate degrees in nutrition and exercise physiology and a graduate degree in nutrition. She is a licensed Am I Hungry? facilitator and certified Wellness Coach. 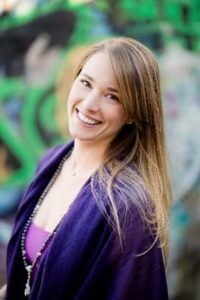 Jessie’s offerings include 200-HR Yoga Teacher Training programs her proprietary continuing education program From Um to Om®: Public Speaking for Yoga Teachers, and Am I Hungry? Mindful Eating Programs. Dawn Hopkins helps guide people toward inner healing, growth, and transformation through yoga and mindfulness practices. A recovering restrictive eater who found her own healing through yoga and mindful eating, Dawn is an E-RYT 500 Master Yoga Instructor, Yoga Therapist, Yoga Teacher Trainer, and Licensed Am I Hungry? Facilitator. 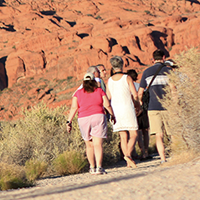 Dawn delights in sharing her unique approach to wholistic wellness that truly integrates mind, heart, body and spirit. She approaches yoga with lightness and a playful spirit, believing that one of the ultimate benefits of yoga is elevate to a higher vibration to experience joy and peace. 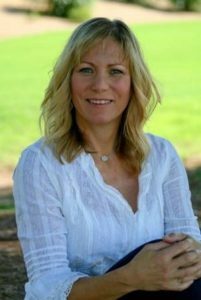 She is Founder and President of Inspiritus Yoga, offering wholistic wellness programs, yoga teacher training, and continuing education.